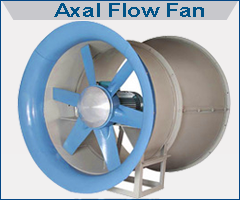 Manufacturer and supplier of axial flow fan, dampers, primary disc filter etc. 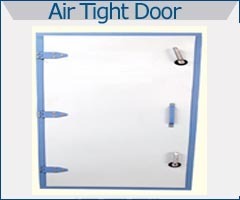 The air tight doors including insulated glass Wool are manufactured using qualitative raw material sourced from reliable vendors. These doors have gained huge reputation in the market for their durability and performance. Our entire range finds extensive application in diverse industries. These doors are available in various technical specifications and can also be offered with customization as per clients’ requirement. 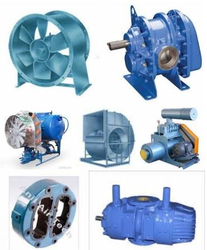 We bring forth a quality tested range of Axial Flow Fans, which is suitable for ventilation exhaust system. To ensure optimum performance at low operating cost, we provide our range with statiodynamically balanced impellers. We design our range in various specifications to fulfill different requirements of workshops, warehouse, office building, tunnel and withering through in tea garden. 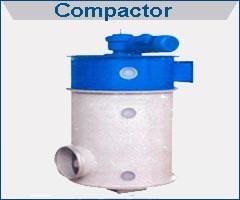 The Fiber Compactor are vertical, octagonal in shape and have a conical screw which is driven by a geared motor & delivers the waste in compact form. The major advantages of manufacturing damper from aluminum are aluminum’s low cost and ease of maintenance. 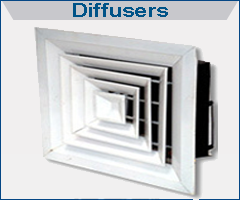 Aluminum dampers are light and durable. And with aluminum’s high strength to weight ratio, they will still offer sufficient strength for many applications. Manually Operated Aluminum Dampers: Manually operated dampers are simply dampers, which are set by hand, as by the operation of a handle that sits outside the duct that the damper controls. 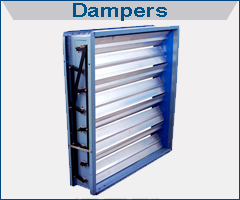 Motorized Aluminum Dampers: In motorized dampers, the plates or flaps, which control, block or allow the draft or airflow are actuated by motors. These motors are often linked to thermostats, for instance in zone controlled air conditioning systems. Our product line comprises Primary Disc Filter, which can be availed in varying capacities suitable for different types of filters. This product is manufactured having different specifications and can also be modified to suit the specific requirements of the clients. 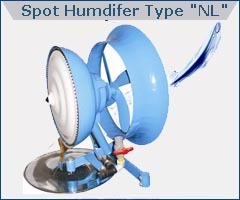 The impurities deposited on the disc can easily be removed for better filtering operations. 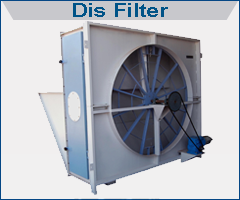 Available with us are Rotary Drum Filters, which find extensive application in the textile industry. Their usage is in areas where heavy dust & fiber are present, which adversely affect the quality of the yarn. These filters effectively stop the harming effect of the contaminants, by arresting their movement and capturing these impurities in the filtering pores. We only use perforated mild steel sheets in the production process of these filters. 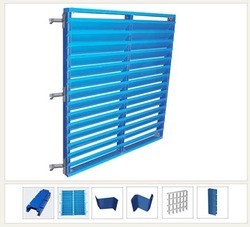 PVC Louver Fixing We provide a wide range of mist louvers, which is fabricated using the best quality PVC. Horizontal inlet distribution PVC Louvers which evenly guides entry of air in the washer and also prevents back splashing. Required number of horizontal stiffeners for grouting into side walls. There is one horizontal stiffener around 300 mm from the top, one around 300 mm from the bottom and more if required, to maintain a distance of not more than 1300 mm vertically. Hold fasts and bolts for fixing stiffeners to side walls. Expert manufacturer and supplier of Grills & Diffusers brings you a variety of options in this product range comprising Linear Grills, Double Deflection Grills, Single Deflection Grills,Rectangular Diffusers, and Round Ceiling Diffusers. Our Grills & Diffusers are designed and developed by extensively experienced and qualified professionals, who realize all of your expectations from a perfect Grill and Diffuser. Linear Grills: We design and develop a wide range of Linear Grills apt for contemporary interiors in large sized offices, public areas of hotels and hospitals for proper ventilation.Specifications: # Aluminum Construction #PVC and Plastic Construction#GI Construction# Removable Louvers # 0 Degree, 15 degree,30 degree, 45 degree deflection. Expert manufacturer and supplier of Grills & Diffusers brings you a variety of options in this product range comprising Linear Grills, Double Deflection Grills, Single Deflection Grills,Rectangular Diffusers, and Round Ceiling Diffusers. Our Grills & Diffusers are designed and developed by extensively experienced and qualified professionals, who realize all of your expectations from a perfect Grill and Diffuser. Linear Grills: We design and develop a wide range of Linear Grills apt for contemporary interiors in large sized offices, public areas of hotels and hospitals for proper ventilation.Specifications: # Aluminum Construction #PVC and Plastic Construnction#GI Construction# Removable Louvers # 0 Degree, 15 degree,30 degree, 45 degree deflection.